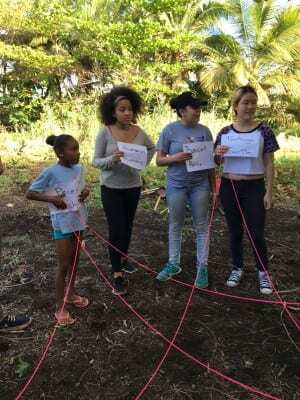 In Puerto Rico, Amizade partners with CARAS de las Americas, a local non-profit organization with the goal of promoting international cooperation through cultural exchange, knowledge sharing and community service. 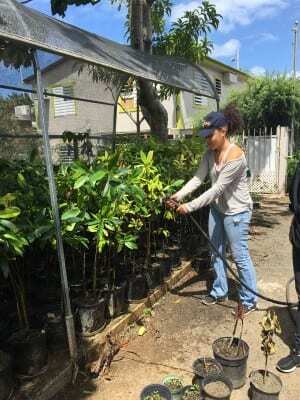 CARAS works with many communities throughout Puerto Rico on a number of different projects. 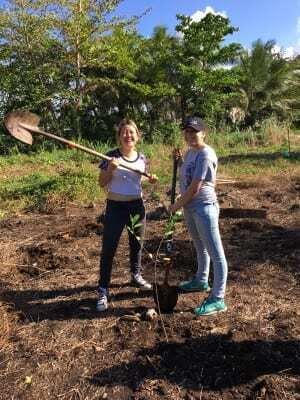 Amizade volunteers who visit Puerto Rico connect with CARAS in the community of Cataño, the base for their mangrove reforestation project. In coordination with El Corredor del Yaguazo, volunteers learn about the important role mangroves play in the global ecological system and how CARAS is working with local community members to plant and monitor the red, white and black mangroves in the Parque La Esperanza and Vietname communities of Cataño. 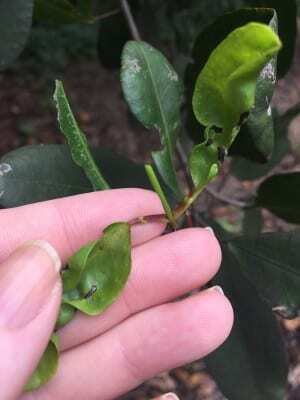 Small glands that help the mangrove tree excrete salt can be seen on the stems, just below the base of the leaves. Mangrove trees are an impressive species known for the ability to survive and thrive in hot, muddy, salty conditions that would quickly kill most plants. Through a series of impressive adaptations—including a filtration system that allows the plants to secrete salt through small glands and a complex root system that holds the mangrove upright in the shifting sediments where land and water meet. Not only do mangroves manage to survive in challenging conditions, the mangrove ecosystem is proving to be an extremely important component to the health of the planet. Mangroves provide an important habitat for marine life, providing protection for fish and shellfish as well as birds. Mangroves also serve as an important component in both water and air filtration. Due to their complex root system, mangrove trees are able to slow water flow, helping to trap sediment and filter toxins before debris and toxins reach open seas. They are also extremely efficient at absorbing carbon dioxide and filtering the atmosphere. Unfortunately, mangrove forests around the world have been decimated in an effort to clear coastlines and beaches for human use. Organizations such as CARAS and El Corredor del Yaguazo are working to restore these forests. 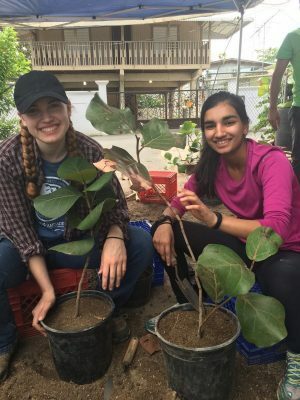 In March of 2016, students from Agnes Scott College spent their spring break in Puerto Rico immersing themselves in Puerto Rican culture and learning and serving with CARAS to support their mangrove reforestation project. 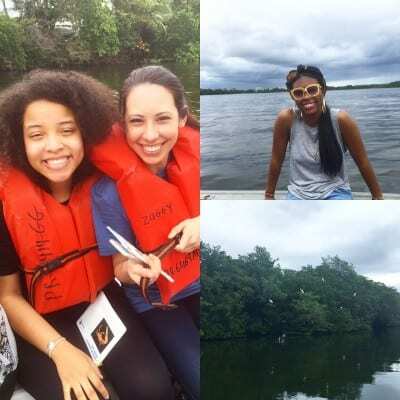 The group began their visit with a boat tour through the lagoons and canal systems around San Juan to see the mangrove forests in their natural habitat. 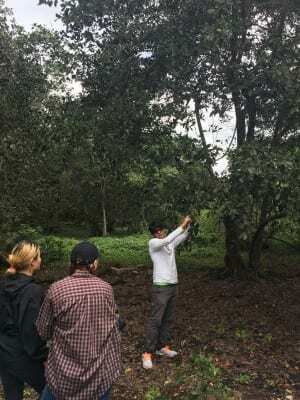 Following the tour, the group spent two full days at the mangrove nursery and one of the reforestation areas helping the mangrove forests at every level of the process. While many volunteers focus simply planting trees, the volunteers learned that reforestation efforts are actually much more complex. 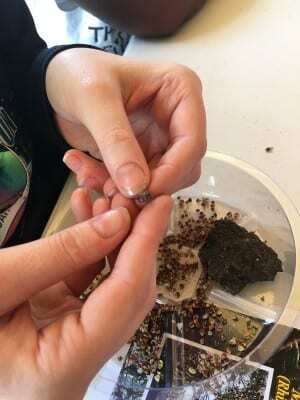 The Agnes Scott students helped to sort seeds, using their fingers to pull apart the small clusters of seeds and planting seeds in tiny seedling trays. 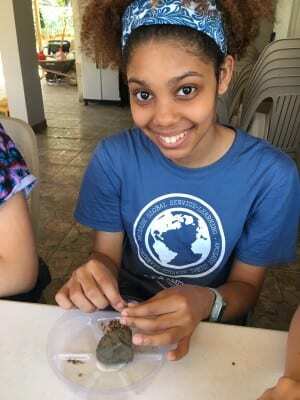 Next, the group worked in the greenhouse to weed and water the small seedlings and replant seedlings in larger and larger pots as they grew. Caring for seedlings and ensuring that they are strong and healthy before being transplanted into the reforestation area is an important and critical part of the work that groups like CARAS do and volunteer assistance is greatly appreciated for this ongoing process. 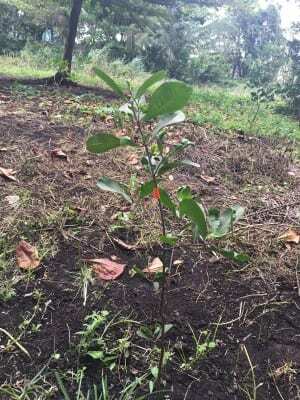 Finally, the group was able to clear and prepare the land and transplant several young mangrove trees in one of the areas CARAS has identified for reforestation. Another of CARAS’s projects involves working with local children in the community, educating them about environmental issues, including mangroves, and getting them involved in the work of caring for and planting the trees. 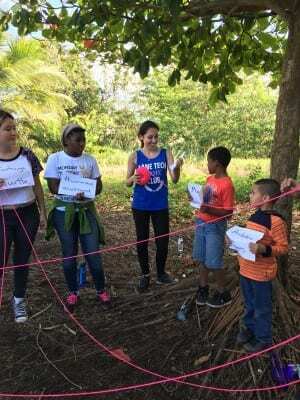 After completing the work of planting the trees, with the help of the kids, the volunteers joined in for an educational game that helped teach about all the ways that different species of plants, animals, and ecosystems and interconnected.